Combined Systems Inc's headquarters in Jamestown, Pennsylvania. The company, which manufactures and tests nonlethal weapons, moved here in 1995. 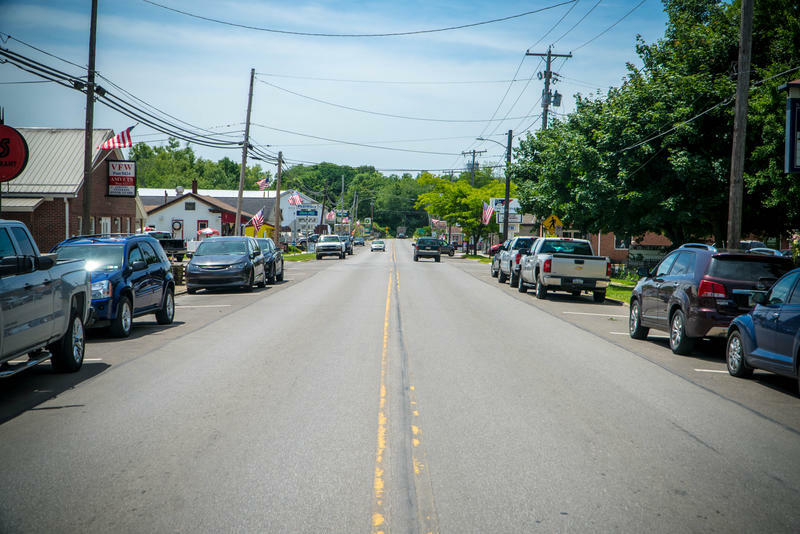 Jamestown, population 617, has a small main street with kayak rental shops and restaurants catering to visitors to nearby Pymatuning State Park. Besides tourism and a paint mill, CSI is one of the area's major employers. For more than 20 years, Terry Burns has lived with a munitions plant virtually in her backyard. She sells vegetables and lawn ornaments out of her home on a small country road in Jamestown, Pa.: population 617. Reporter Jen Kinney goes to Jamestown, PA, to report on a tear-gas manufacturing plant. Just a half-mile behind her house, on the other side of a stand of trees, Combined Systems Inc. manufactures and tests non-lethal weapons: tear gas, smoke bombs and “crowd control devices.” Blasts can be heard from her house. Combined Systems Inc., which is owned by the investment firm the Carlyle Group, is one of the world’s leading manufacturers in the growing, $1.6 billion non-lethal weapons industry. CSI supplies both U.S. law enforcement agencies and foreign governments. Then there were the fires—at least four recorded in newspaper accounts and OSHA documents since 2004—and the occasional tear gas release. Burns remembers one serious accident that prompted officials to evacuate the area. Still, accidents like that one have been relatively rare, and Burns is glad to have the plant here. She’s not alone. Once, Jamestown had plenty of jobs. Today, CSI is one of the only games in town. Jamestown depends on tourism to Pymatuning State Park, which is one of the most visited parks in the state; it supports a small main business drag with restaurants and kayak rental shops. There’s also a paint mill in town. And then there’s CSI, which employs around 230 people. Its campus in Jamestown now includes around 20 buildings. Audie Davis said he worked just one day at CSI, measuring out different chemicals. “It would irritate your eyes, your nose. You would come home and you couldn't get rid of the smell for a few hours,” he said. Davis said he wasn’t offered a mask or respirator and found it difficult to breathe. He quit after a day. At less than $10 per hour, it just didn’t seem worth it. Some of the plant’s neighbors aren’t happy with the company, either. A small group hasvsued, alleging that noise and noxious gasses have migrated onto their properties, interfering with their quality of life, the enjoyment of their property and the value of their homes. 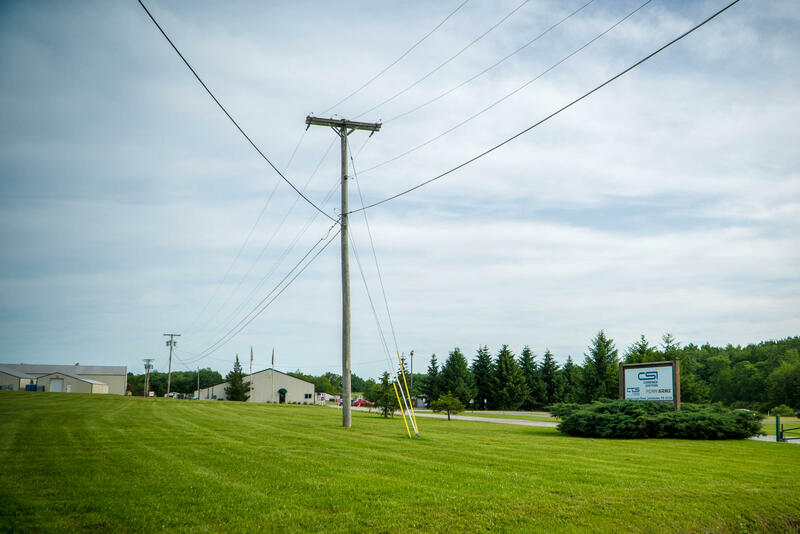 In its legal response to these lawsuits, CSI affirmed that it does test its products outdoors in Jamestown, but denied that such testing impacts neighbors and said that CSI’s work serves vital national security interests. The plaintiffs declined to comment, as the suit is ongoing. Though it’s considered non-lethal, tear gas is a chemical weapon. As researcher Anna Feigenbaum traces in her recent book, Tear Gas: From the Battlefields of World War I to the Streets of Today, the chemical agent was developed for wartime use, then re-marketed and sold as a means of quelling domestic uprisings and unrest. Pennsylvania has played a role in that transition: The first major demonstration of how police departments could use tear gas took place in Philadelphia in 1921, a spectacle documented by the New York Times. At the 2009 G20 summit in Pittsburgh, law enforcement officers were among the first to experiment with one of CSI’s new products: a non-visible vapor. Though the 1993 Chemical Weapons Convention bans tear gas’s use in war, it is increasingly used in policing—as seen recently in Gaza, in Turkey and in Ferguson, Mo. CSI’s products were documented in all of those conflicts. In 2011, Amnesty International condemned the company for shipping tear gas to the Egyptian government amidst increasingly lethal crackdowns on protesters in Tahrir Square. Some also worry about its health effects. The group Physicians for Human Rights, which shared the 1997 Nobel Peace Prize as part of the International Campaign to Ban Landmines, wants tear gas’s non-lethal classification reconsidered. As Feigenbaum details in her book, it has been linked to deaths and serious injuries, in Palestine and elsewhere. CSI is a supplier for the Israeli Defense Forces—that country's military—which means that the plumes of tear gas in Gaza that the world watched through their TV screens earlier this summer likely came from Jamestown. “People say, ‘Yep we manufactured that, we made it, we sent it [to Israel].’ There's a little bit of pride in that,” said Reilly. Still, neighbors like Terry Burns find they’re always looking over their shoulder, worried at the sound of a helicopter hovering over the plant. It could mean another accident, or another injured worker. But as long the global tear gas trade continues to boom, Jamestown is guaranteed jobs—and test explosions—for some time to come. The Pittsburgh Tech Report for August 28, 2018. 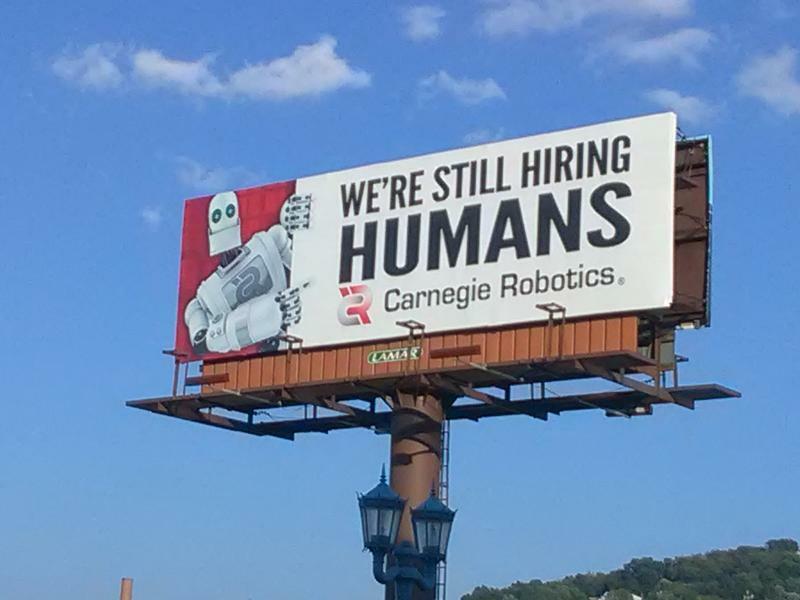 “We’re still hiring humans” proclaims a billboard situated just east of the 31st Street Bridge near Lawrenceville. On the sign, a coy, Pixar-looking automaton beckons engineers and programmers to apply to nearly a dozen positions at Carnegie Robotics. Many first-time visitors to Pittsburgh know of its history of steelmaking. A few are familiar with its legacy in jazz. 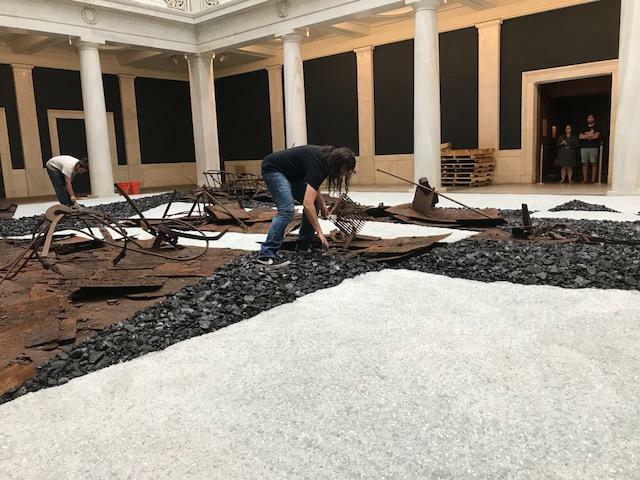 But probably only Postcommodity would blend the two like the art collective is doing for the 2018 Carnegie International. 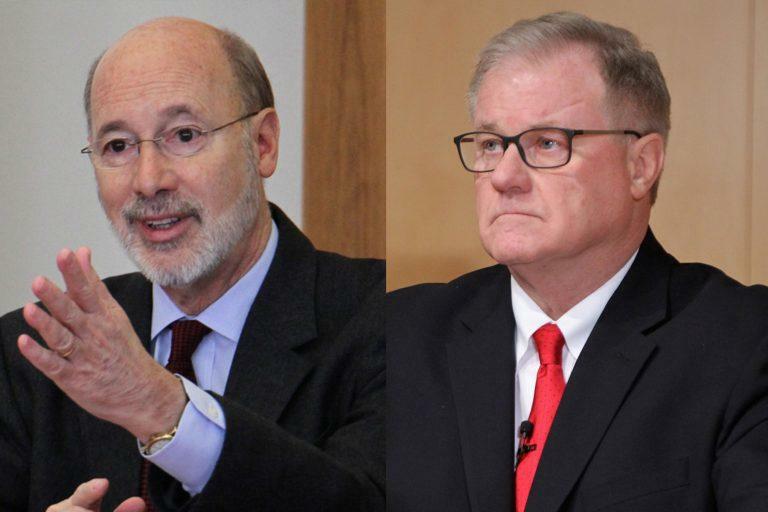 Pennsylvania Republican gubernatorial candidate Scott Wagner has a plan to pump an additional $1 billion into public schools without raising taxes. He says he’d do four things to make that happen: privatize the sale of alcohol, lease its liquor wholesale system, slash corporate welfare “that has no positive economic impact,” and reform the welfare system. His campaign says the numbers add up, and at least one think tank backs that assertion.